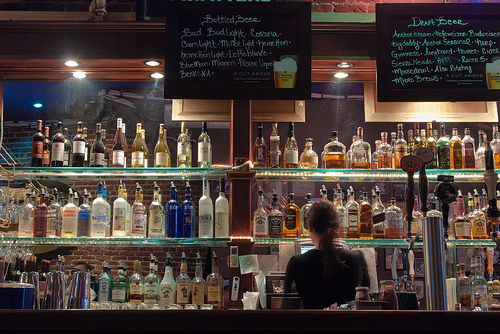 Most bar owners (licensee) and bartenders (servers) believe that serving alcohol to a minor will only result in a civil fine but in Pennsylvania, the law is much harsher! It is illegal for those under the age of 21 to attempt to purchase, or consume alcohol in an establishment. Pennsylvania holds alcohol licensee (owner) and the server liable for the minor’s actions. Liability isn’t reserved to administrative action by the Pennsylvania Liquor Control Board (PLCB) and can mean criminal, and/or civil action in addition to administrative action. A Bar owner and a server can be prosecuted administratively, criminally, as well as sued (civilly) because of just one incident of selling or furnishing alcoholic beverages to a minor. 1) No alcohol may be served anywhere on the licensed premises. 2) All alcohol must either be removed from the premises or secured under lock and key during the social gathering. 3) Written notice must be provided to the Pennsylvania State Police, Bureau of Liquor Control Enforcement, at least forty-eight (48) hours in advance of the event. If a minor is attending a social gathering as defined above, then no other adult supervision is required for the event. 1. The licensee must be able to demonstrate that 50% or more of their total sales are food and non-alcoholic beverages combined and 50% or less is alcohol during the preceding 12 month licensing year. 2. The minors must not be seated at the bar section of the establishment. 3. No alcohol is to be served at the table or booth in which the minor is seated, unless they are properly accompanied by a parent, legal guardian, or under proper supervision. Under the Pennsylvania Crimes Code, the Commonwealth can charge any server or licensee with a misdemeanor of the 3rd degree. Right now in Pennsylvania if you are convicted of misdemeanor, you aren’t eligible for an expungement; this, however, may soon change. A first time offender faces minimum $1,000.00 fine and a $2,500.00 for a second offense along with possibly up to 1 year in jail. If you have questions about criminal charges, watch one of our videos or visit our free download section.